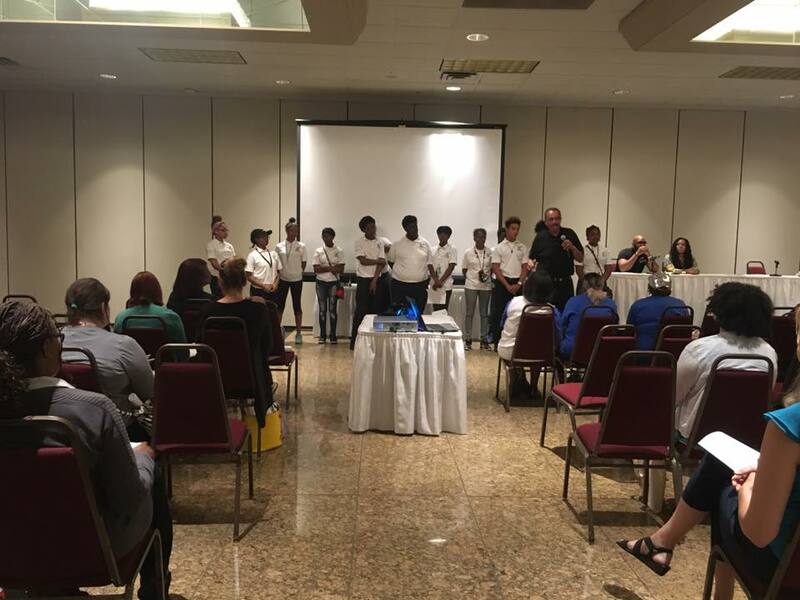 The Center for Urban Youth and Family Development has created a 6 week summer program focused on the enhancement of Detroit urban youth between the ages of 14 and 18 who reside in the foster care system. The philosophy is to address the various impacts of foster care and the long-term affect it can have on the psychological state of an individual including its impact involving family relationships and development. Mentoring, role modeling, and the socio-economic environment’s influence on educational and career foals will also be woven into the main theme of the program. This multi-tier program consists of 1) Five Year Life Plan; 2) Community Service Project; 3) Substance Abuse Prevention Training; 4) Suicide Prevention Training; 5) Life Skills Development; and 6) a drug test. Our mission is to identify and analyze segments of life that parallels the urban experience of youth in foster care to today’s society. WE want to highlight the impact of spiritual faith combined with a positive attitude, self-preparations through education and skills development, hard work, and self-discipline; and the face that those characteristics can lead to a positive and productive life. The belief that identifying the struggles and challenges the participants face in life, that may increase their risk of substance abuse; will assist in the development of methods as well as motivational forces that will empower them to meet and overcome these obstacles. The development of a “Five Year Life Plane” specifically detailing your desired future aspirations as you age out of the Michigan Foster Care System will be prepared during the 6 week program. By writing your own five year life plan, you will be able to visualize the steps needed to reach your goals. As an employee you will partake in the implementation and total completion of a community service project organized on the grounds of Hartford Memorial Baptist Church and The Center for Urban Youth and Family Development. The objective is to develop leadership skills while participating in a group environment. The goal is to acquire a generation of environmentalists. The Too Good for Drugs and Violence substance abuse prevention program developed by the Mendez Foundation will be utilized. This program provides an evidence-based curriculum that has been proven effective for reducing drug use and establishing anti-drug attitudes and beliefs. The Too Good for Drugs and Violence program focuses on enhancing life skills such as decision-making, communicating, and drug resistant strategies. Botvin Life Skills Training guide is an evidenced based prevention program used in families, schools and the community setting. When used effectively, it can dramatically decrease the use of alcohol, violence, tobacco, and other drugs. Success for teens is a free book provided by the Success Foundation focused on youth development. It illustrates the importance of clarifying goals, practicing the small efforts necessary for success, and accepting responsibility for one’s own destiny. Additionally, CUYFD CEO Marsialle Arbuckle Sr. will take students through his book, I Have a Story to Tell, to highlight his own experiences living life as an alumni of the foster care system. We hope to use his life story as an inspiration for youth to strive for success. We believe that one of the best ways to push our youth to aim higher is to expose them to as many cultural experiences as we can throughout our summer program. Throughout the summer youth are taken on college campus tours to Michigan State University, The University of Detroit, The University of Michigan Dearborn, and Schoolcraft College amongst other local institutions to give them a feel for what campus life is like. Additionally youth go on multiple museum and site visits to help them gain greater knowledge about the world around them. Finally, at the end of every summer our youth participate in The Youth Connection's Ticket to Float Program which teaches them about water conservation, the War of 1812 and gives them a Kayaking Tour of River Raisin National Battlefield Park. Added in 2017, we use the Lifelines Suicide Prevention Curriculum designed specifically for High School aged youth. The Lifelines program educates students on the facts about suicide and students' role in suicide prevention. It provides information on where to find suicide prevention resources in the school and community. Additionally it targets the whole school community by providing suicide awareness resources for administrators, faculty and staff, parents, and students. Throughout the course of the program, you will be subject to participate in at least one random drug test. The purpose of the drug test is to show that the substance abuse prevention strategies learned throughout the six week program are being utilized and are having a significant impact on the choices you make in daily life. The results of the test are confidential and dealt with on a case-by-case basis. Testing positive for any drug test does not mean immediate expulsion from the program, however more than one positive test will. Drug tests will be provided courtesy of the National Council on Alcohol and Drug Dependence.